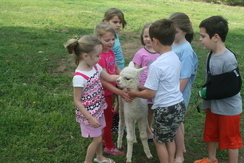 Pristine is one of our foundation females and is not for sale at this time. 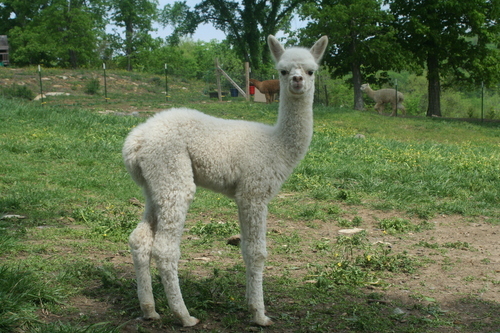 Her yearling fleece was ribbon-winning, and I have submitted a sample to the spinoff at this year's AOBA national show. Pristine is everything you hope for in a full accoyo foundation female--big, fine, dense, strong fleece organization and beautiful. 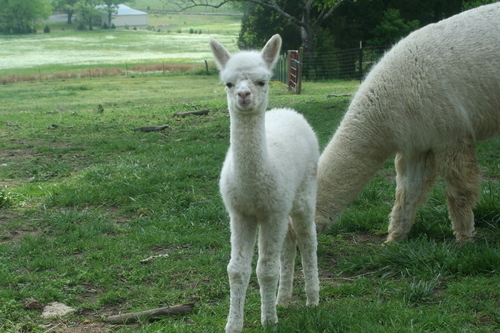 And she just dropped her first cria in April 2011! A lovely girl named Abby. Mom and baby are doing great, and Abby gained four pounds just this past week and is playful and full of energy. This is our best indication of Pristine's mothering skills and her milk production. 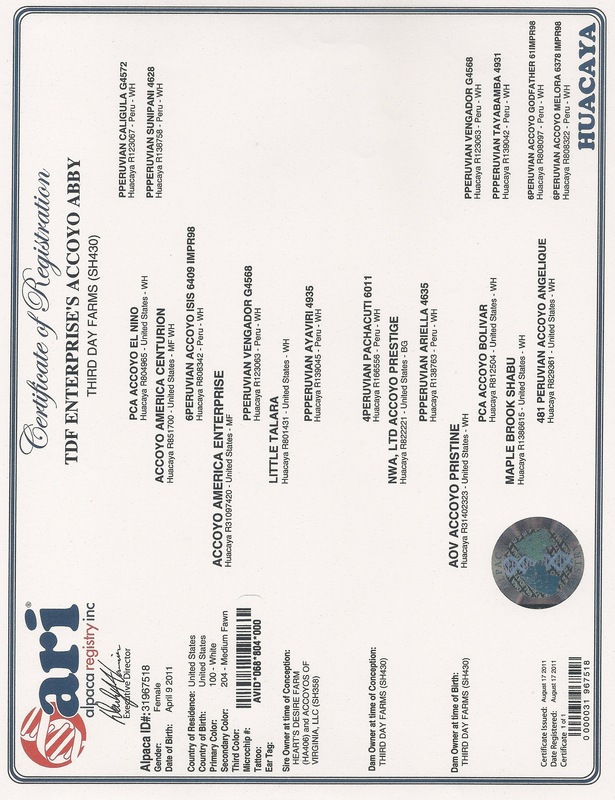 Pristine's first breeding was to Accoyo America Enterprise, a medium fawn full accoyo who had the high score at the 2010 AOBA national spinoff! The judge's comment on Pristine's fleece from the 2011 AOBA National Spin-off: "Outstanding!!!" Pristine is currently bred to Accoyo Stratosphere, which will bring another pairing of the Pachacuti and Legacy accoyo lines. 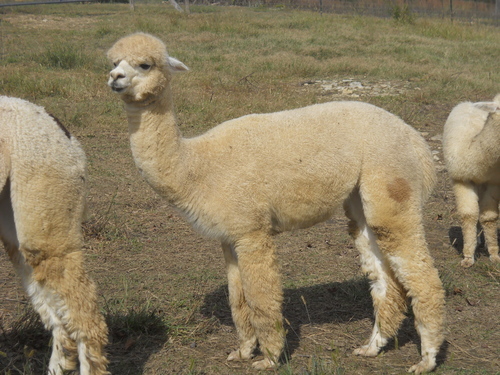 The cria is due in October 2012. Our whole family got to be there throughout Abby's birth--the first to take place on our farm. So Abby has a very special place in our hearts. She started holding up her head almost immediately. She ran very soon after getting to her feet, and she hasn't slowed down since! She gallops and sprints all over the pasture. She has white curls throughout the blanket, extending up her neck, onto her flanks and down onto her shoulders and belly. She shows her fawn color genetics with a big medium fawn spot on her left hip, a small spot on her right front leg and a small spot on her forehead. Cute, cute, cute! Miss Abby is all grown up now and the top producer on our farm! She is bred to Snowmass Matrix Quest for a summer 2017 cria. 2015: Top 1% EPDs for Standard Deviation (AFD), Spin Fineness and % Fibers > 30! Wow!! !